Your dog looks to you for guidance. It is up to you, the responsible pet owner, to manage his behavior through training. The internet is full of useful websites and videos for teaching Fido obedience yourself. If you can afford it, a professional training program can be a worthwhile investment, but can be costly. Check with local vets and pet owners you trust to get good recommendations, and sit in on a few sessions to find the right trainer for you and your pet. Whatever kind of training you choose, remember that your dogâ€™s success is contingent upon how well you follow through. If you donâ€™t keep up with his training and reinforce good habits, youâ€™ll have wasted your time and money. 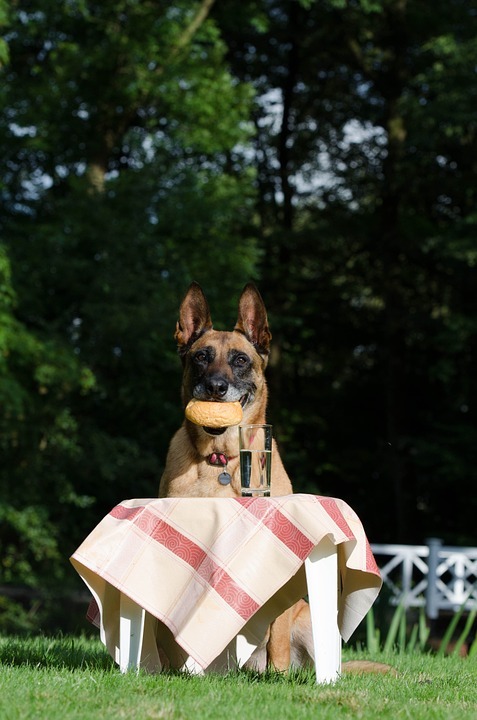 One important thing to focus on during training is â€œpublic etiquette.â€ Teaching your dog good social skills is vital. Service animals have become commonplace sights in the coffee shop and neighborhood market, and more and more people are bringing their pets along on social outings. Your dog can expect to encounter animals of all sizes and temperaments when he is out, so practice socializing him one-on-one with other animals in safe settings. Train him to walk beside you on a leash, and not to approach strangers uninvited. When outside, teach him to stay out of other peopleâ€™s yards and gardens. He should know several important commands, such as, â€œsit,â€ â€œheel,â€ â€œstay,â€ and â€œcome.â€ A dog who knows how to behave himself in public is more likely to be welcome wherever he goes. But thatâ€™s only half the equation; the other is you, the dog owner. Start by familiarizing yourself with local leash laws, and find out where you dog parks are. When youâ€™re out together, bring along bags for waste and baby wipes in case your furry little darling steps in something awful. As pet owner, you are something of a goodwill ambassador for the pet population, so when something goes wrong, be quick to apologize and always try to be polite. Accidents will happen; even the most well-behaved dog can trod on a hem or shake mud on someoneâ€™s slacks. A polite demeanor and a sense of humor can help defuse the situation when things go awry. Itâ€™s always a good idea to check with friends or local businesses before you bring your dog along. Even if theyâ€™ve welcomed him before, itâ€™s polite to phone first and make sure itâ€™s a good day for a visit. Be aware of your petâ€™s personality; if he cannot sit politely without begging, donâ€™t bring him to watch you eat in a restaurant. If he is easily threatened, donâ€™t bring him around dogs he does not know. Be sensitive to your dogâ€™s mood, notice if his surroundings are upsetting or overstimulating him, and respond promptly. Having a well-behaved dog and modeling good pet-parenting behavior is the first step in being a good neighbor. Ensuring your dog is properly trained and socialized is the key to making sure he, and you, are eagerly welcomed guests wherever you go.